For the first time, the U.S. Open poster featured two trophies – one for the men and one for the women alongside the iconic Putter Boy. 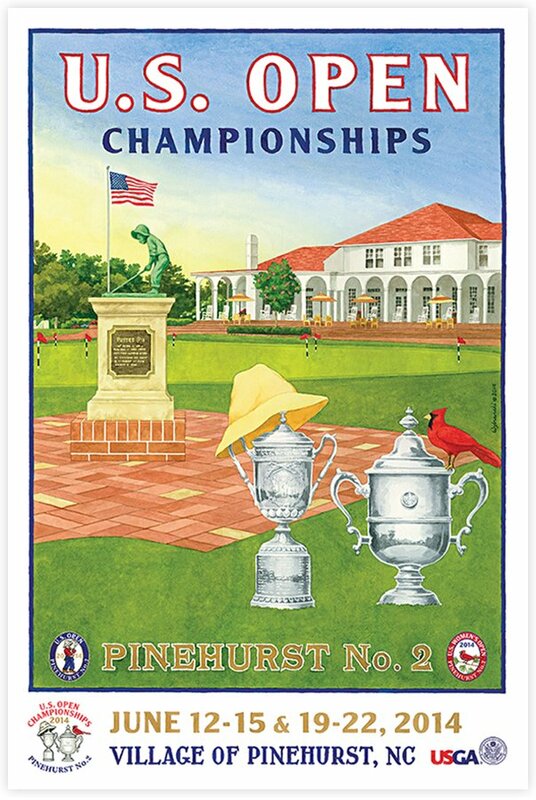 Played at Pinehurst No. 2, freshly restored by Bill Coore and Ben Crenshaw, both championships were a huge success. A masterful performance by Martin Kaymer left the field in his wake en route to an eight-shot shot victory. Michelle Wie broke through the following week in the U.S. Women’s Open for her first major championship.